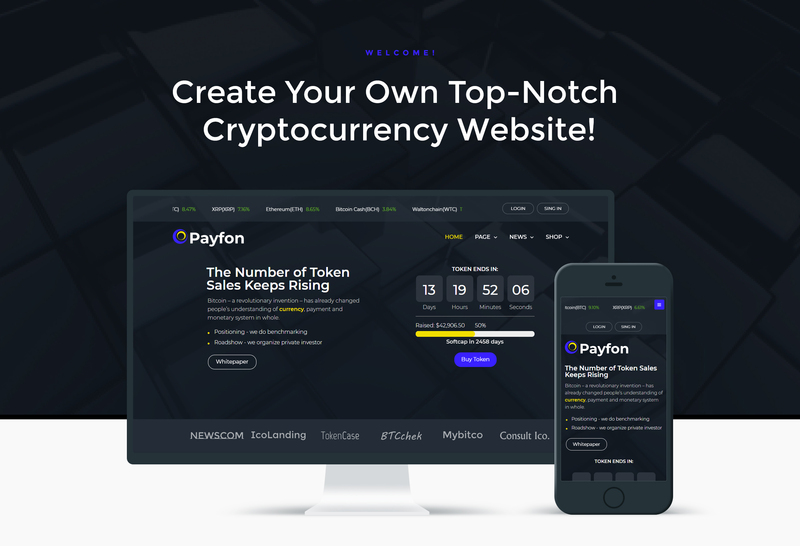 Create a professional, modern site with cryptocurrency services using Payfone ICO WordPress theme. Your site will look stylish and catchy with this responsive theme. Its functionality is impressive. You will be able to style up your site according to your needs and taste without any coding knowledge. The theme is equipped with Jet plugins bundle, which will be a useful tool in building a powerful site with Elementor Page builder. You will create different kinds of content and enrich it with attractive widgets in drag and drop way with JetElements plugin. You will organize your content into tabs with vertical or horizontal layouts and accordion blocks using JetTabs plugin. With JetMenu plugin you will design your menu in the most proper way, also it will be available to create a mega menu with drop-down section easily and quickly. JetBlog plugin will allow filling your site with exquisite blogging elements. 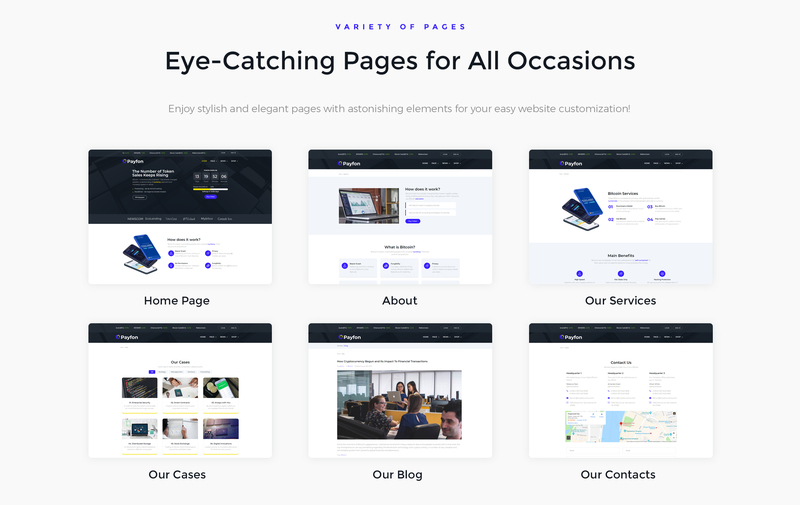 You will explore the brand-new approach to create a website from ready-made pages and pre-styled sections using JetThemeCore plugin. Your site will be more engaging with eye-catching visual effects and animation tricks thanks to JetTricks plugin. You will be able to create a great e-commerce site with a premium theme, Payfone!